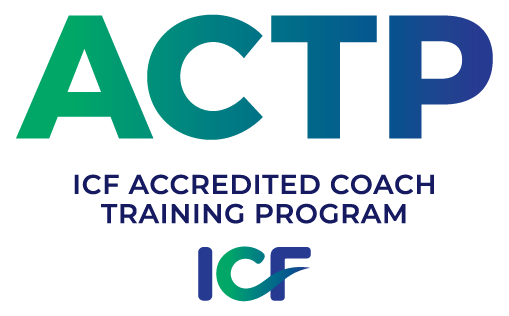 Coach Transformation Academy offers ICF Accredited Coach Training Programs as Online Coaching Certification Courses and classroom coaching certification programs, all our coaching certification courses are ICF approved & accredited coach training programs. ICF Coaching certification is considered as the best coaching certification with high standards of coaching skills that coaches learn. Our ICF accredited coach training programs our designed following ICF definition of coaching and core competencies. Coach Transformation Academy offers ICF accredited coach training program to public and corporate as in-house offerings to individuals and professionals for coaching certification. At Coach Transformation Academy we make coaching certifications and path to credentialing easy and best learning experience for anyone who wishes to become a certified professional coach. Our ICF accredited coach training programs are delivered across the globe through world class and state of the art coach training facilities, coach training curriculum and using practical coaching learning methodology. If you ever wondered how you can you become a certified professional coach, you are at the right place to start your journey to a new skill of mastering coaching through our ICF accredited coach training program. Coach Transformation Academy conducts following coaching courses to the develop your coaching skills public through classroom workshops and online training. 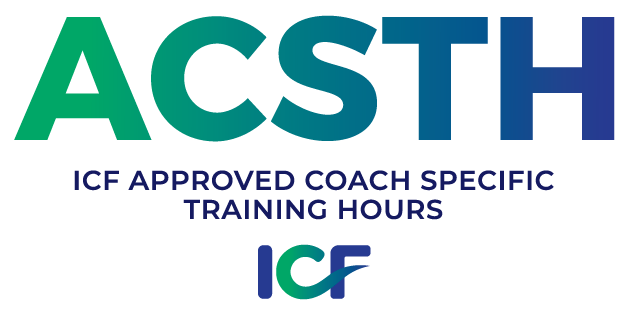 Certified Professional Coach training is a 60-hour ICF approved and accredited coach training program. Participants undergo extensive coaching skills learning through various classroom learning methodologies and fieldwork to build on elementary level coaching skills and get certified as a professional coach at level 1. In addition to 60 hours of coach training, participants also undergo 10 hours required mentor coaching in 2 sessions of 3.5 hours of group mentoring & 3 sessions of 1 hour each one on one mentoring. Certified Professional Coach (Level 2) training program is a 125-hour ICF accredited coach training program for learners who wish to take coaching as their full-time profession or want to learn advance level coaching skills for their career enhancement. Participants undergo extensive advanced level coach training for 125 hours (65 hours if they have completed certified professional coach training) and complete 10 hours required mentor coaching of 7 hours of group mentoring and 3 hours of one on one mentoring in 3 sessions of 1 hour each. Coaching is a development skill. If you are a professional coach or practice coaching as your communication or leadership style in your current profession, NLP can build & develop your coaching skills to the Coaches should continuously add to their experience and next level. Coaches should continuously add to their experience and learn though additional skills that can further enhance their coaching practice to take them towards mastery in coaching. Coach Transformation Academy offers Certified NLP Business Practitioner Coach Certification course as a 4 days classroom program. NLP Business Practitioner Coaching program advances the knowledge of coaches on human communication patterns and its application in coaching in an organizational context. Each NLP model is linked with building upon coaching skills using NLP tools & techniques followed by coaching practice and identifying Core Competencies and sharpening coaching practice and understanding of coaching competencies. Coaching is a highly powerful process to empower people to bring sustainable positive change in their lives. The process of change is effective when thoughts, feelings, and behaviors are aligned together. In your journey of becoming a certified emotional intelligence coach, you will learn Transformational emotional intelligence framework to make your coaching skills highly effective with practical tools and models of EQ to use in coaching. Certified Emotional Intelligence Coach program offers in-depth will advance the knowledge of coaches on human emotions and make them emotionally intelligent around the coaching practice. Multiple models of EI are introduced with its application in coaching. Each EI model /tool is linked with building upon coaching skills and creating a deeper understanding by practicing and implementing in a practice coaching session. 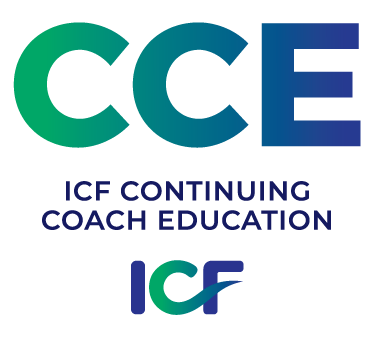 Coaches will learn to link Emotional Intelligence with Core Competencies and further enhance their coaching practice and understanding of ICF Core Competencies. Participants will take away range of hands-on, practical tools to make coaching more powerful and measurable. Emotional Intelligence coaching course will build your coaching skills to mastery level. Coach Transformation Academy offer coaching skill Train-the-Trainer program consists of a series of coaching training and assessment days to certify coaches as coach trainer, this is an extensive course includes classroom learning, online sessions, learning about mentoring and evaluating a coaching session and then to develop training skills for trainers. Train-the-Trainer program consists of 6 days of classroom workshop, 3 months of online mentoring and supervision followed by certification process of co-facilitating coaching programs. Participants will get fully scripted Coaching Train-the-Trainers manual to maintain standards in the future. This course is an ideal course for people who wish to deliver coaching skills program in-house, skills like mentoring and consulting and how do they apply in corporate willing to have coaching skills trainer house, corporate willing to have coaching skills trainer in house or anyone who want to start their own coach training business. We also provide support in setting up your own coaching or consulting business for participants aspiring to take coach training as their full-time career. This course is designed to introduce coaching skills to corporate supervisors and new team leaders to familiarize them with foundational coaching skills and application in their role of team management. Participants understand the definition of coaching, its processes, what coaching is not, application of coaching in multiple aspects of teams & organizational development & they how can development themselves using coaching. This course introduces various models used in coaching, coaching competencies, coaching session with coach trainer to understand the application of learning in the role of a corporate supervisor and team leader. This is a 2 days course conducted in-house for corporate and can be customized to fit the need of the organization. Manager’s role is critical to the success of a business, and so are effective coaching skills. Consistent coaching helps with employee engagement and retention, performance improvement, skill improvement, and knowledge transfer. On top of these benefits, coaching others is an effective method for reinforcing and transferring learning. While there are many important managerial skills and competencies, coaching is central to improving the performance of entire teams. This course takes 3 months to complete includes 4 days classroom workshop, online session and one on one mentoring. We can customize this course to fit the need of the organization. After successfully completing the course participants are awarded the certificate of Managers as Coach. Coaching Skills for Leaders is an advance level coaching certification program for senior leaders and managers in the organization. Organization do not usually look for their leaders to become professional coaches but to develop a “coaching leadership style” of their leaders which the helps organization to unleash the full potential of their leader. Coaching for Leaders is the industry gold standard coaching training for authentic leadership and outstanding results in organizations. This course takes 4 months to complete includes 6 days classroom workshops spread across 3 to 4 months in 2 days each followed by online sessions and one on one mentoring. We can customize this course to fit the need of the organization. After successfully completing the course participants are awarded the certificate of Leader as Coach. All courses offered by Coach Transformation Academy are ICF approved and accredited. Each course is designed to advance coaching skills of learners to a higher level to their current competencies. Our courses are designed to transform coaches and build Transformational coaching skills. Each program includes working practically with the coaching client and develop coaching skills core competencies. There are assignments and extra reading required after few modules and coaches are expected to commit to their learning.